Many refugee employment professionals dream about developing customized employment services for clients with higher levels of education and professional experience. Unfortunately, because of limited time and resources, these dreams are rarely realized. Take heart, my friends! You don’t need to re-invent the wheel. Momentum has been building on the issue of skilled immigrants for the past decade, and some great resources have been developed that you can use, adapt, or refer clients to directly. Upwardly Global– Upwardly Global (UpGlo) provides customized training and support for skilled immigrants and connects them to employer partners interested in hiring global talent. In addition to its 4 brick and mortar locations (New York City, San Francisco, Chicago, and Silver Spring, MD) UpGlo offers online training programs for skilled immigrants who live elsewhere in the US. In the past year, Upwardly Global has begun offering refugee-specific services, including an online learning portal, free access to Coursera online college courses, and other tailored trainings and resources. IMPRINT Project– The IMPRINT Project is a coalition of organizations active in the emerging field of immigrant professional integration. Imprint works closely with business, government, higher education and other partners to raise awareness about the talents and contributions of immigrant professionals. In addition to the services that member organizations provide, IMPRINT provides a wealth of resources on its’ website including publications, program resources, articles and op-eds and webinars. Check out the IMPRINT Project’s recently released interactive map which showcases over 50 programs and services around the country that are designed to help immigrant and refugee professionals. Global Talent Bridge– An initiative of World Education Services, Global Talent Bridge is dedicated to helping skilled immigrants fully utilize their talents and education in the United States. 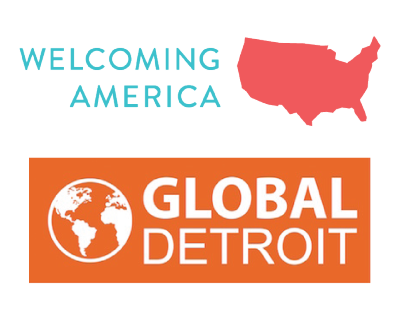 Global Talent Bridge’s services include support, training, and resources for community organizations, government agencies and employers; direct outreach to skilled immigrants, including seminars and comprehensive online resources; and policy advocacy at the local, state and national level. To get started, check out their Resources for Immigrants page. Welcome Back Initiative– The Welcome Back Initiative focuses on internationally trained health workers living in the United States. They do this primarily through their network of “Welcome Back Centers” which provide orientation, counseling and support to foreign-trained health workers. Welcome Back Centers currently exist in California, Massachusetts, Rhode Island, Washington State, Maryland, New York, Texas, Colorado, and Pennsylvania. Community College Consortium for Immigrant Education (CCCIE) – In addition to the professional experience and education immigrants bring with them, many also pursue education here in the US. Classes at a community college are often the first step. CCCIE’s mission is to raise awareness of the important role community colleges play in delivering educational opportunities to immigrants and to promote and expand the range and quality of programs and services for immigrant students among community colleges around the country. For an orientation to this organization and what they do, check out their Immigrant Students and Workforce Development page. In addition to the great resources listed above, don’t forget about mainstream workforce development programs/resources in your region that may provide the extra boost that a skilled immigrant needs to break into a professional job. Contact your local American Job Center to inquire about training opportunities including Apprenticeships, On-the-job Training, and Individual Training Accounts (ITAs). This post was written by Daniel Wilkinson, and originally published by Higher at www.higheradvantage.org. Daniel Wilkinson has spent 7 years working in various facets of refugee employment services and economic empowerment. He is currently the Program Manager for Rebuilding Dreams, a new initiative at Lutheran Immigration and Refugee Service (LIRS) that develops sustainable career pathways for refugees through corporate partnerships.